Go on a free podcast spree. The iTunes Store puts thousands of free podcasts at your fingertips. 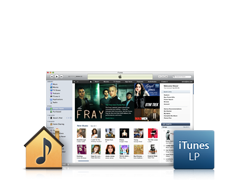 To find them, select Music Store in the iTunes source column; then click “Podcasts” to journey Inside the Music Store. Or, here’s another way to get there: select the little podcasts icon in the Source column, then click the arrow next to “Podcast Directory” at the very bottom of the iTunes window. Once you’ve downloaded or subscribed to a podcast, click the Music Store button to return to the home page of the Store. Of course, before you subscribe, you’ll want to find podcasts that appeal to your interests. And you have several ways of tracking them down. For example, you can tell iTunes to find them for you. 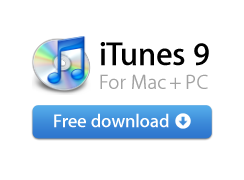 Although you could use the iTunes search box in the upper right-hand corner of the jukebox window, iTunes provides a search window specifically for podcasts in the left column. You can use it to search by podcast title, podcast authors, or by all podcasts. And once it returns a list of podcasts that meet your criteria, you order your results by popularity. Just control-click or right-click the column headers and select “Popularity” to see the most popular podcasts that contain your search term. Looking for a specific podcast category? Try browsing podcasts in the iTunes Store’s featured podcast rooms. Each room lists popular podcasts that iTunes editors have selected for special feature by subject. See what tops the podcast charts. Take a look at the right side of the podcasts page on the iTunes Store. The “Top Podcasts” list displays the top 25 podcasts based on recent subscriptions. Click “Today’s Top Podcasts” to see the entire top 100 podcasts list. And if you want to see the most popular podcasts by subject, use the dropdown box to view the top podcasts from one of 21 categories. Find more from your favorites. If you find a podcast artist that you like, there’s an easy way for you to see — and preview — other podcasts she’s created. Just mouse over the Author’s name and, if that author has created more than one podcast, you’ll find a link that will whisk you off to a page with more podcasts. To preview any podcast in the Music Store, just double-click an episode for a sample. If you like what you hear, click the “Subscribe” button at the top of the podcasts page. Or, if you’d rather download only certain episodes, click the “Get Episode” button next to the episode you want. Watch the way you want. When you play a video podcast, playback starts in the “Now Playing” window in the lower left-hand corner of the iTunes window. To see the video at the optimum playback size, just click the video image to open a larger, resizable player. You can even play video back in full-screen mode by clicking the “Fullscreen” button at the bottom of the player. If you can’t finish a podcast in one sitting, never fear. You can always pause playback in either iTunes or on your iPod and resume playback later from the point you left off. Listen to the first half of a podcast on your way to work, and on your way home, pick up right where you left it. By default, podcast files are set so that iPod and iTunes will remember playback position. You can turn the feature off by clicking on a podcast file, choosing “Get Info” from the contextual menu, and unchecking “Remember Playback Position.” You can even turn the same option on for non-podcast files, letting you resume playback on any track in your library. When iTunes encounters a problem downloading a podcast episode, it displays a small “Exclamation Point” icon to the left of the episode title. Click on the point to reveal more detail about the error. Generally, such errors are related to the feed set up by the podcaster. In most cases, the episode will be available again in about a day. Play it again (and again). Once an episode is finished downloading, a blue dot appears to the left of the podcast, indicating that it has not yet been played. As soon as you begin to play the podcast, the blue dot disappears. When the blue dot disappears, it’s a reminder that the episode will be automatically removed from your iPod the next time you sync it with your computer. If you want to make sure the episode stays on your iPod, right-click it and choose “mark as unread”. Enhance your spoken word experience. 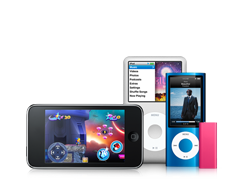 iTunes and iPods with displays allow you to change the EQ settings for playback. If you listen to a lot of podcasts, the “Spoken Word” EQ setting may enhance the sound quality for you. This EQ setting reduces bass frequencies — especially handy for amateur podcasts, where mic pops and other noise might otherwise distract. When a podcast finishes playing, iTunes does not play the next podcast episode in your Source List by default. To keep a steady stream of episodes playing, consider creating a smart playlist. A smart playlist of podcast episodes allows you to listen to episodes continuously and to further refine your podcasts. For example, you might create a smart playlist for news podcast episodes longer than 40 minutes. To build an all-podcast playlist, Choose “New Smart Playlist” from the file menu. From the first drop-down box, select “Podcast” and leave the second drop-down set to “is true”. To include only podcast episodes you haven’t yet listened to, click the “+” symbol to add a new rule and choose “Play Count”, “is”, 0. Add additional filters to further refine your smart playlist. Keep podcasts forever (or just for a day). It’s easy to tell iTunes how long to keep podcasts in your library. When browsing the podcasts you’ve downloaded, you’ll see a Settings button at the bottom of the jukebox window. Click it, and iTunes takes you right to the podcasts tab of the iTunes Preferences dialog. See the “Keep:” drop-down menu? It lets you decide exactly how long to keep podcasts, helping you keep your library neat and tidy. Not in the Store? Not a problem.. If while surfing the web, you ever come across a podcast that you can’t find in the iTunes Store, here’s an easy way to subscribe to it anyway. From the Advanced menu, choose “Subscribe to Podcast...” and enter the podcast feed URL. iTunes will subscribe you to the podcasts and begin downloading immediately. Hold on to your hits. If you like the auto-remove feature for most podcasts but want to keep all episodes of a particular podcast, you’re in luck. Select a podcast (either at the episode or podcast level) and from the right-click menu, choose “Do Not Auto Delete.” iTunes holds onto that podcast’s episodes until you manually delete them. Once you subscribe to a podcast, iTunes checks for new episodes at regular intervals. In time, the list of available episodes could grow out of control. To hide or reveal all available episodes, click on the display triangle for that podcast. You can also hide or reveal all of your podcasts at once by pressing cmd+] or by holding down the command key and clicking. Podcasts are like audio or video magazines. Once you subscribe, you can expect a new “issue” of that podcast at a regular interval. But if you find you have more than you can handle, it’s easy to unsubscribe. Just highlight the podcast you want to unsubscribe from, and click the “Unsubscribe” button in the lower left hand corner of the screen. To unsubscribe and delete all files related to the podcast, simply press the Delete key after selecting a podcast. Many podcasters write extensive show notes — text that accompanies their programs. To access a window that displays the full show notes, click the “i” icon in the right side of the podcast’s “Description” column. When you find a podcast you love, you may want to share it with others. You can grab links to a podcast in the iTunes Store by hovering over the “cover art,” right clicking, and selecting “Get iTunes Store URL.” With the URL in your clipboard, you can paste it into an email, a chat, or a web site. Use the same process to get links for subject rooms, podcast episodes, artists and today’s top podcasts. Or, if you already subscribe to a podcast you want to share, simply drag it from your podcast’s source to your desktop. That creates a standalone .pcast file that you can email to friends as an attachment. If they have iTunes, clicking on the .pcast file will automatically subscribe them to the podcast, and iTunes will immediately begin to download the most recent episode. You can export a list of all of your subscriptions, either as a personal archive for yourself or to share with others. This option comes in handy when you’d like to introduce someone you know to podcasting because it allows you to send a file of “starter podcasts” for your newbie friend to subscribe to — all at once. To export a list of your subscriptions, mouse over “Podcasts” in the source menu, right-click or control-click, and choose “Export.” Choose “OPML” as the format. (OPML is a generally recognized format for sets of subscriptions.) Name and save the file wherever you want. At any time, you can re-import that file and iTunes will re-subscribe you to all of the podcasts inside. Or email it as an attachment to your uninitiated pals. To subscribe to the podcasts in an OPML file, choose “Import” from the file menu and choose the OPML file. iTunes will begin downloading immediately. iTunes immediately takes over and begins downloading the first episode. iTunes LP. Home Sharing. And the redesigned iTunes Store. Find the one that’s perfect for you. 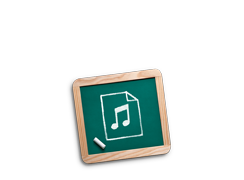 Go digital with iTunes and get more out of your music.